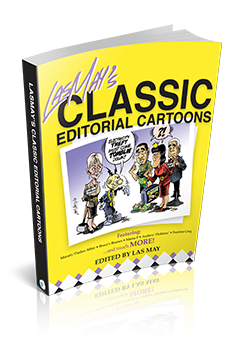 Las May’s Classic Editorial Cartoons are a selection of the revered cartoonist’s work from 2006 to present. The cartoons are an assorted collection of political and social commentary ranging from crime, violence, sports and so much more. Each cartoon offers an insightful and witty glimpse into the daily life of Jamaica and its people.